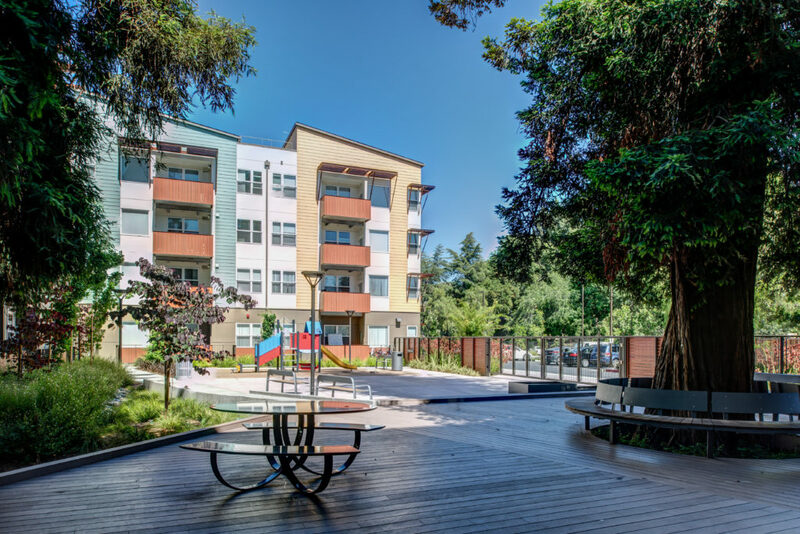 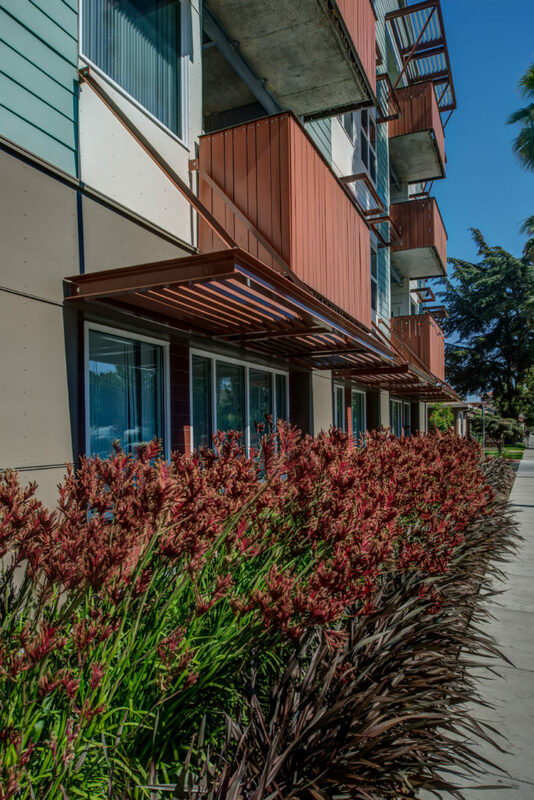 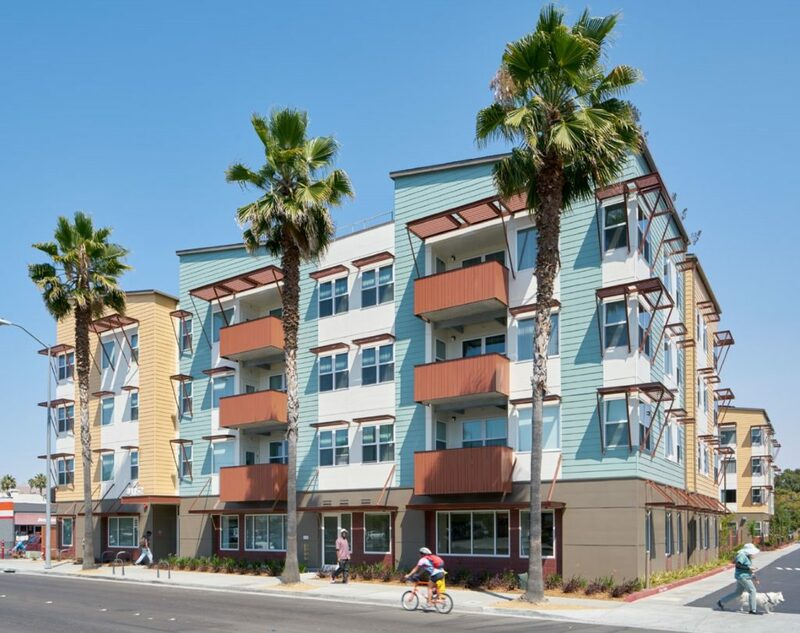 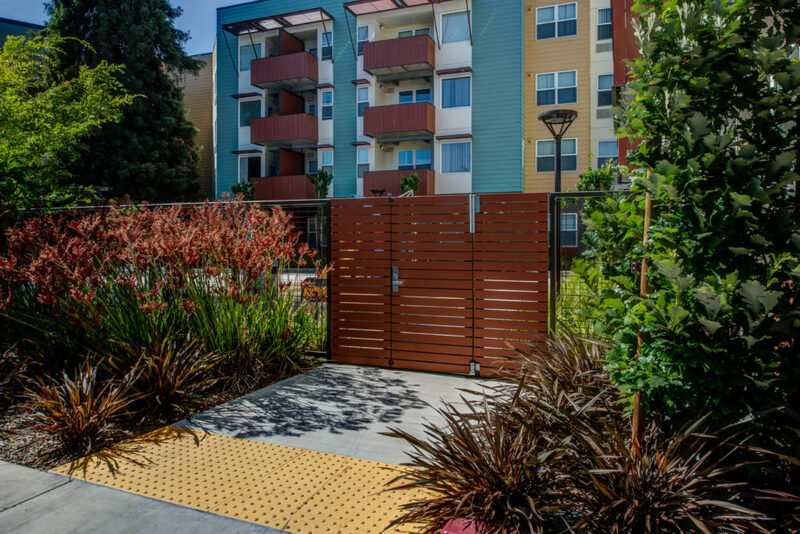 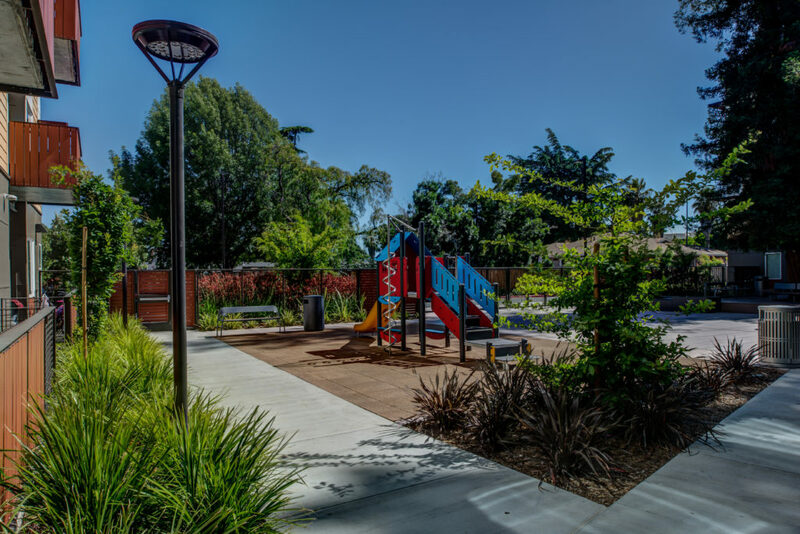 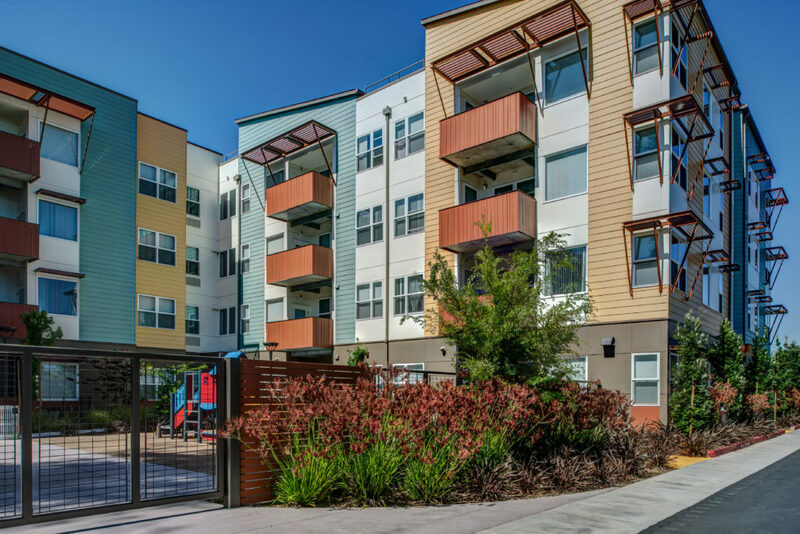 Laguna Commons provides homes for low and very low-income individuals and families in the heart of Fremont’s Irvington District. 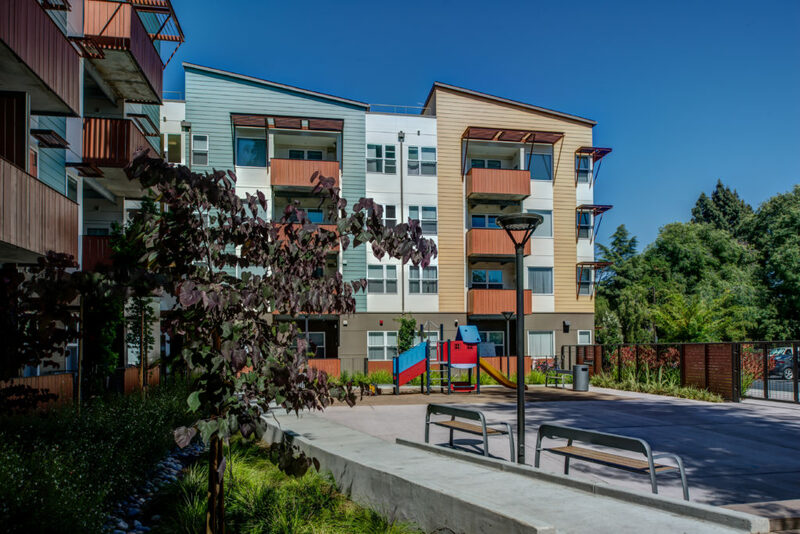 The project incorporates numerous green building features, including resource-efficient landscaping, photovoltaic panels, and energy-efficient electrical and plumbing fixtures. 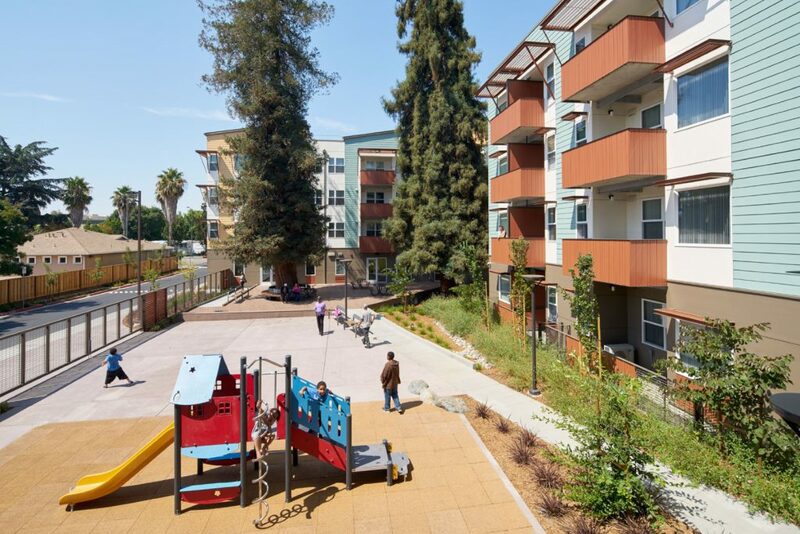 The central courtyard is divided up diagonally to minimize the visual impact of the fire truck turn-around that impacts the center of the courtyard space. 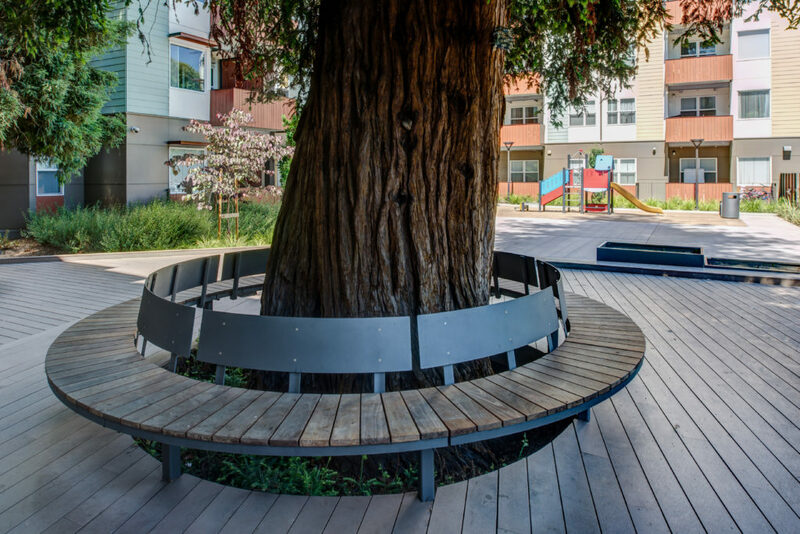 The large deck and circular bench surrounding two existing large redwoods are a unique design feature that allows the building and courtyard to preserve the natural grades around the redwoods thus ensuring that the trees survive for generations to come.